Purple Dragons - A loyalist chapter of Adeptus Astartes that was unofficially founded. Some speculate, that the Purple Dragons have connections to the chaos and their gods, but ultimately nothing is certain. The cruel fate has given them huge trials on their wake. Motto: "Hail to the dragon, Dragon of our souls!" 147.M38 - The Salamanders had just finished a mission on Armageddon, world constantly attacked by Orks. Their fleet was leaving the system when a warp storm had risen out of nowhere. Some ships were partly damaged by the anomaly, but only "Claw of Sorrow" was sucked into the warp. The journey caused enormous damage to the ship and death to almost everyone aboard. Fortunately, Darrol survived. It was a miracle, the whole ship was nearly destroyed and the survivors were severely injured, but the chaplain came out physically unharmed. As the Chaplian tried to fight the warp, Darrol saw a huge figure standing over him. It was none other than the primarch of Space Wolfs, Leman Russ. What the primarch spoke of with the chaplain is still unknown, but this affected his views greatly as he later wrote: "It opened my eyes and fed secrets to my mind, a mortal couldn't withstand". After the incident, the ship was spit out onto Immolit, a jungle planet that is located near to the edge of the Imperium. When the survivors set their foot into the jungles, they were attacked by huge scaled beasts. after hours of fighting, only twenty marines remained. strangely they were all close comrades of Darrol. They spend weeks searching through this hostile planet, when on the horizon, they saw a giant temple. Approaching with caution, they were met by a set of barbarians, who hailed them as the saviors of their souls. The beasts that they slayed, were terrorizing the planet for many centuries and now freed by gods who descended from the sky, they were forever loyal to them. As an ancient ritual, their new heroes were painted in the color of the beast they defeated. The color purple. After what he experienced, the chaplain and his fellow marines decided to start a new chapter of Adeptus Astartes, to protect the people of Immolit and the secrets Darrol discovered. The latter was chosen as a chapter master, for his great skill of leadership. The Temple was given name, "Dragon's Tear" and the chapter was given name, The Purple Dragons. The native refer to them as Roxo. With the help of the marines, the natives became more advanced. They learn about the Great Crusade, the Imperium of Man and the Emperor of mankind. Astound by such figure they build a monastery in his name, swearing oaths to the Imperium. First company was shortly formed. Most of them are battle brothers from the Space Wolf chapter, who were thrown on the planet by a warp storm just like Daroll and his men were. The wolfs had no way getting out of the system and after being saved from their wreckage of their ship, swear their lives to the Purple Dragons. Their Wolf Priests start working on a gene seed. The only material he can salvage are the fallen brothers from both sides, who already started decaying. With a huge amount of effort, they succeeds in cross breeding a quite unstable gene that is later reworked. 150.38M - A rising threat arrives on Immolit.Tthe planet was attacked by an unknown threat. What appeared to be just some minor orks, was in fact a part of the force on the Armageddon that somehow appeared on Immolit. The Dragons took it to the greenskins, purging the planet, trying to destroy all of the xenos. Unfortunately, what later became apparent is that the Dragons were clearly lacking in numbers, and even minor losses could proof fatal. On his campaign against orks, Darrol and his warriors were ambushed. They were driven to a dead end, with little to no options, death was certain. As he led his brothers in what seemed to be the last battle, Darrol believed that even if they die, at least they eased the burden of those who lived on. But as the battle went on, the Dragons received a strange reinforcement. The people of Immolit jumped on the orks with righteous fury and now, man and gods fought together. The Dragons are forever grateful. Darrol decides to teach them the way of the Imperium. Men and women of Immolit become significantly more advance people, who now understand the concept of a huge universe, filled with million other stars. The only Techmarine of the chapter, Sordei starts working on damaged ships, trying to make an actual vehicle that would work. 172.38M - Purple Dragons grow in sizes. The gene seed was improved upon and can now be added to humans. Due to lack of actual material, only a few recruits are added. With the natives as the major of the main workforce, Sordei finally mobilizes one of the ships, allowing Darrol travel to the reaches of the Imperium. After several years of travel, Darrol arrives on Vulcan, swearing his loyalty to the emperror. He asks the current chapter master of Salamanders for help as they are a devastated chapter who needs reinforcements. Thinking that Darrol is unworthy and may even be heretical, the chapter master duels him. With a bit of luck, Darrol defeats his opponent using the environment to his advantage. He comes back with two ships full of equipment and a hundred battle brothers, blessed by the Salamanders. 186.38M - The Chapter gets recognition and helps in a current war against Eldars, pushing the xenos away from their sector. This seems almost suicaidal, as the chapter is still in a weak state. Darrol answers with a speech that was forever recorded in the chapter librarium. "What is death, my fellow brothers? Is it a horrifying conclusion to our lives, that all of us will experience? Maybe. Is a means to an end, that we deliver to the xenos and the heretic? Almost certainly. But what is the ultimate meaning of death? It's a line, that we must walk, it's a judging we must enforce and it's the glory that we must fulfill. So if you must die in battle, remember that your glory will be remembered. Hail to the dragon, Dragon of our souls!" This was the first time anyone used the motto of the chapter In time, other chapters noticed their feats. One of those being Ultramarines, who outright insulted Darrol, calling him and his brothers monsters of warp. Needless to say, their relationship never became better. As the Eldar campaign proofed to be a massive success, the Blue Sky Squad was first formed. From now on, the five best veterans of the chapter had the honor of being a special unit. 232.38M - The Dragons, get a distress call from a nearby Strato system. Specifically, from one planet called Strato II. As always taking it personally in cases of protecting their territories, Darrol and two first companies answer the prayers. It turned out to be a disturbed Necron Tomb, that was slowly coming to life. After a huge battle against the Necron threat, Darrol was injured hanging on the brink of death. The Dragons guard their chapter master to the end and the only reason he survives are five space marines, who guarded their master for six days, until the reinforcements arrived. Two of them who survived, carried swords. This event played a major role in the traditions of the chapter. Darrol writes down the secret he was told by Leman Russ. He then asks to be put into a dreadnought, never wanting to leave his battle brothers. rest of the humanity and his high hopes for their future. Thirdly the Purple Dragons wanted to reiterate their combat doctrine. The even numbered companies now specify to withstand against enemy fire, making them best at defense and tactics. In the same manner, uneven numbered companies are trained to be more oriented for combat, which makes them the perfect sons to bring death in battle. Where a marine will go is decided on an early stage, based on what his better qualities are. Which brings us to the forth tradition, companies always fight in two. This is also a representative of how bond between brothers is the best quality of the chapter. The final doctrine stated, if chapter master is seriously injured or near death, he is transformed into a dreadnought, like Darrol was, truly showing that even in death, the leaders will guide their soldiers. Although many things had changed, this wasn't the end of the suffering road for the Purple Dragon. Quite the opposite, it was merely the beginning. 335.38M - Within few years, large suspicion grows inside the chapter. Many brothers are concerned with the state of things. The lack of Imperial support finally shows its cracks as many of the weapons are not looked after properly, the armories are empty and the over all luck of the chapter has ran out. 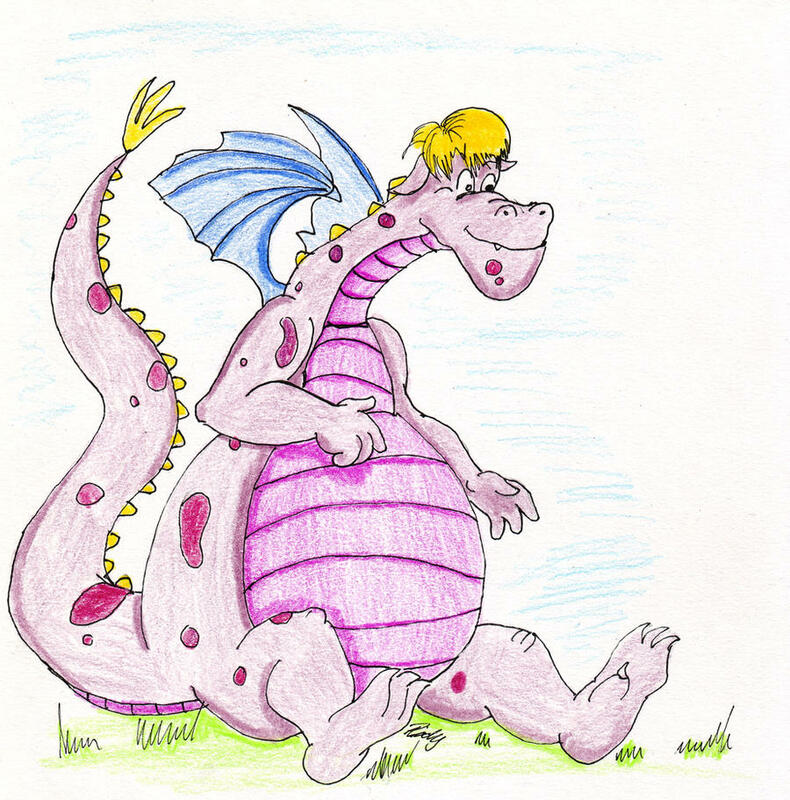 In this state, the Purple Dragons a most vulnerable. As they look for salvation, chaos spreads its seeds. 456.38M - Another major battle for Immolit. The Black Legion spreads despise and horror on the planet, while the Dragons fight them back with double the strength they have ever put. Most of the battles are lost. Current chapter master, Fogil a powerful psyker, uses his power and sacrifices himself , to stop the fleet of False Gods. This makes it possible for the reinforcements to arrive before it's too late. Crimson Fists and Space Wolfs aid in the war, fighting the chaos burden. They support the Dragons as best as they can, but even with that, they must face an inner demon. One of the most loyal captains, Reti Sepro, turns out to be the traitor who gave the chaos information, in exchange for deamon hood. Although ultimately the forces of Chaos are driven back into the warp, Reti escapes the fury of his betrayed brothers. Until this day, the Purple Dragons search for this traitor. This wasn't the end of problems. Unfourtenatly, This commotion has led to the Inquisition taking an interest in the events. The Dragons are faced with a cruel ultimatum. They have two choices, be executed by the Inquisition, or take off and become fugitives. Most of the brothers decide to stay, to face their annihilation. At the last hours of the chapter, there seem to be no way out. But when the Inquisition arrived at the planet, there was a ship armada blocking their way. Sons of Russ and Rogal Dorn didn't abandon their brothers. They state that they will not be inactive, while their fellow marines are slaughtered for crimes they did not commit. The Purple Dragons officially become part of the Imperium. The Inquisition promises to keep a close eye on them, never fully trusting the chapter. The chapter puts great emphasis on chaplains, making them one of the most important roles in the chapter. This incident will later be refer to as The Reti Betrayal. With now, ever growing support for the chapter, their most darkest hour has passed. Or has it? 128.39M - Chapter has a new rising hero, Chief Librarian Hort. He had discovered a secret diary of Darrol himself, where the chapter master has depicted his visions. This makes the mystery to finally reach the whole chapter, as it was forgotten for better or for the worst. Unfortunately, after revealing nearly all of the diary, Hort was driven insane by what he discovered on the last pages. Shortly after, he commited suicide. Before death he wrote a rule book, as how to secure the diary, strictly saying that no one shall ever open the last pages. The instructions are as follows. 1. None, other the chief librarian shall touch the book. 2. None shall guard the book, other than the most worthy warrior. 3. None shall read the last pages of the diary. The forth rule can only be accessed if the diary is opened, as it is written on the front page. Only The chief librarian, The Arch Chaplain or Darrol himself can read the diary, or the one who he says is worthy of doing so. Darrol hasn't spoken for almost two centuries. Now the diary is placed deep inside the "Dragon's Tear", guarded by Archdraco. No one is allowed down there, other than the chief librarian. 234.40M - There are more sightings of Individual brothers going insane. The incident are isolated, but the Chaplains of the Dragons are told to take great care and caution, when recruiting new infants as there are mutations that may occur. 098.41M - The Purple Dragons have fought in countless battles against those, who oppose the emperor's will. Although, there is a great history behind the chapter, still no one knows the secrets that were so heavily hidden inside it. A Young sergeant, Biutrus, of the fifth company is trying unravel the truth. He knows no fear and stops at nothing to complete his tasks. But is he worthy? Dragon's Voice: Some marines start hearing a voice in their head, that can lead to instability or even pure insanity. Mostly, the voice tries to guide it's host in battle. Some learn to control their inner voice and even use it when in emergency, while others suffer a terrible fate. Those who have the inner voice specialize in organization, often becoming chaplains. It is rumored that most chapter masters had this ability. Dragon's Breath: the second mutation is most rare and destroys most of its possessors when first used. This mutation gives the marine an ability of breathing fire. quite literally. If the neck and mouth of the marine will be treated short after by an apothecary, he has a chance of surviving his first fire breath. As time goes on, the marine will develop an additional organ called Gladidraconus, which helps resisting the burns. If the battle brother is precistant enough to deal with his power, he may become a valuable asset to his chapter. The ones who become masters of their breath are very patient, strong warriors, best candidates for the elite squads and even Deathwatch duties. Dragon's Tail: Many see this mutation useless and sometimes harmless. While in the first few stages are small and have no purpose, if the limb is let to grow, it can become a mighty weapon for its possessor. Most of the tails however, are outright cut off by the apothecary, as those limbs can be interpreted by the inquisition as a connection to Chaos. The ones who develop their tail to full size are mostly secretive, more close to themselves brothers, who are perfect for working in the depths of chapters Monastery. Dragon's Wings: The wings develop similar to tails, however they are such rarity, those who posses such limbs, are considered blessed by the Emperor himself. They grow much quicker and cannot be removed, the host will simply die. Those who are honored with this gift, can learn to control the wings and may even one day, truly fly. Their speciality is courage, they are known within the chapter as heroes with little regards for their own safety, making sacrifices others couldn't. Dragon's Fate: This mutation can only affect those who have Dragon's Voice. It is unknown what are the true potential of this ability, reason being, no one has ever survived it. There are three stages. 1.The marine starts seeing visions of great battles, mostly ones that Darrol has participated in. He sleeps less and less, waking up in the night, haunted by his visions. 2. The visions become more frequent, the start going back, eventually coming close to the chapters beginnings. The third stage is not documented from the victim point of view, simply because no one lived through the experience. The marine goes into a coma. He is stable, until the third day. Huge gashes appear on the body and the victim dies, regardless of apothecaries actions. Only a man who can survive the endless trials can become a Purple Dragon, or as they say a human born with a pure soul. Most of the recruits come from their homeworld, Immolit, although, there are exceptions. There are three trails a recruit must pass, before becoming a true Dragon. 1. Cleansing: The recruits are send into the jungle for several days, equipped with knifes and a bolt pistol with only one round. Many can't take the horrors of the deep forest, and decide a cowards way out. The one bullet represents the limitation the Dragons had in the past, and even with that they still came out victorious. If the recruit survives, he is painted purple. 2. Formation: the recruits are trained under the careful watch of the chaplains. From the start, the marines learn to trust their spiritual brothers as they become their mentors for the rest of the eternity. It is a great honor to be chosen by a chaplain. After weeks of intense training, the recruits are chosen to either be a part of an even or uneven company. 3. The Rebirth: Throughout their first trial battle, the recruits must learn from their soon to be battle brothers. If they survive, the apothecary start the implantation cycle. By the third mission, if the recruit is still alive and well, his body would already be transformed into a full space marine. They are given a specific armor which has it's own history and taught by the techmarines how to look after it. As a tradition, every brother is very careful with his equipment, so that he can fully understand the weight on the shoulders of his predecessors. The Bonds with other chapters/ Imperium. Purple Dragons and Salamanders - Being an indirect successors, the Dragons a tolerated by their older brothers, if not respected. Each time a Salamander and Purple Dragons companies meet, the captains exchange bolt pistols, as a remembrance to Darrol's deed. Purple Dragons and The Crimson Fists - Honored by their step up to the inquisition, the Purple Dragons swore to be allies to Crimson Fists until the time itself will end. Since then, the two chapters served on many campaigns together. Purple Dragons and Ultramarines - The sons of Ultramar are despised through out the chapter. The dragons would never try to pick a fight with their brothers, but if it came to it, they wouldn't be that disappointed in fighting the shiny blue warriors. Purple Dragons and the Inquisition - The warriors of Immolit did not hold a grudge against Ordo Maleus. The later on the other hand, have established a constant watch on the chapter. "Those who serve the emperor are our brothers and sisters. Guard them, as you would guard me" - Chaper Master Jh'onet, when he and his forces were descending on the battlefield. The emperors chosen shall never forget others who serve alongside them, that is what the Dragons have always believed. So when it comes to the troops, they are more than admired. When in combat, if the guardsmen are there with them, the chaplain blesses both the marines and the guards alike. First Floor - The first floor is always preserved for the people of Immolit in case of an all out attack on the planet. Floors Two to Twelve - This is where most of the companies are based, twelfth floor is where for new recruits sleep and train. Many may not see the light of day again. Floors Thirteen to Fifteen - The Armory of the chapter. All of the dreadnoughts are maintained here. Floors Sixteen to Nineteen - The quarters of apothecary and the medical bay that treats marines and others alike. Twentieth Floor - The training floor. Here, many study the arts of war, to truly understand how and why they fight. Floors Twenty-first to Twenty-fourth - The Chaplains quarters. Well respected, those who occupy these chambers pray between battles, dedicating their life to the Emperor. Some chaplains go on missionaries, giving speeches in tribes all around Immolit. Floors Twenty-fifth to Twenty-eighth - The Great Librarium. Here, every single story, every tale of Immolit and its noble warriors is depicted in a crucial detail. Very often, before a mission a chaplain comes down to the librarium and gets inspired by battles long past. Twenty-ninth Floor - The Chapter Masters court room and the place, where the Council of Claws meet. This honorable place is filled with chapters trophies and artifacts. Thirtieth Floor - Securely locked away from those unworthy, this floor contains Darrol's diary, that has to be guarded at all times. As it shown by their history, the Purple Dragons will never surrender, even if means being obliterated by the enemy. Death or Glory are their only options. YES! Do you like the lore?